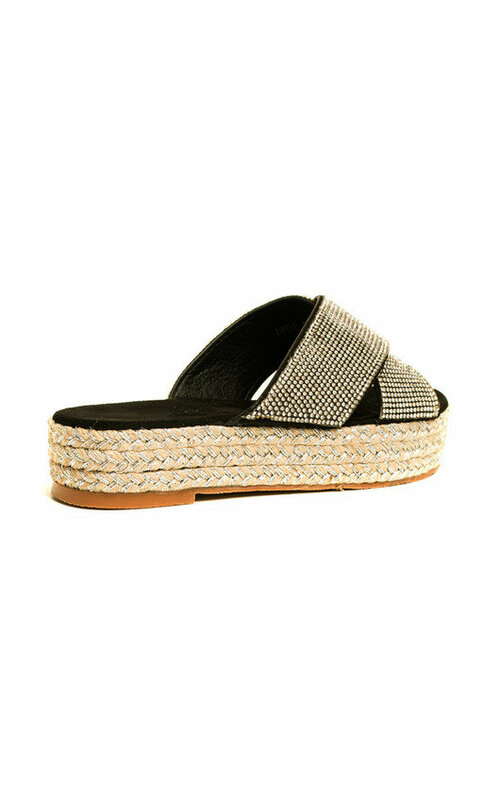 Keep your shoe game HOT this Summer boo! 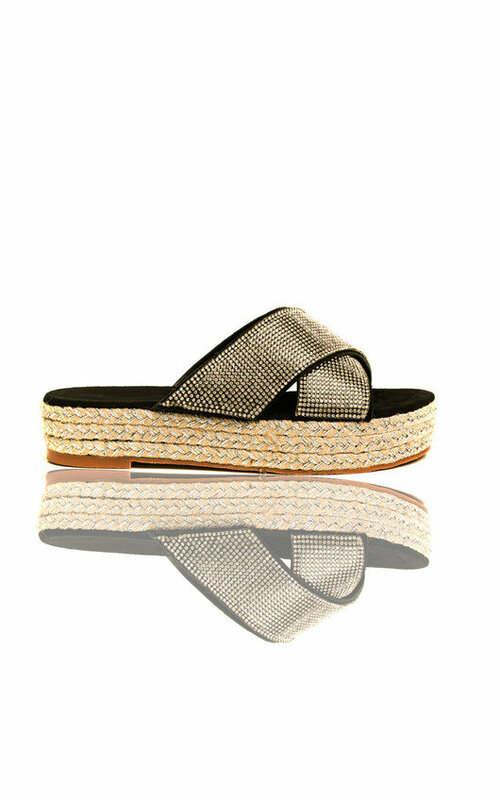 Our CORRIE sandals feature a flatform style, diamante metallic finish, crossover peep toe straps and braided sole! Style with a cute co-ord and statement earrings for a glam luxe Summer look.